Fun With Puzzles Brain Teasers Hidden Pictures Picture Puzzles Puzzles Puzzles for Teens Can you read secret message hidden in pixels? Can you read secret message hidden in pixels? This Picture Puzzle is to test your power of observation. This is your observation skills exercise in which you have to read the secret message hidden in the pixel image. In the given Puzzle Picture, there is one secret hidden number. You may have to shake your head up-down or sidewards to see this hidden number. Lets see if you can read this secret hidden number in your first attempt? 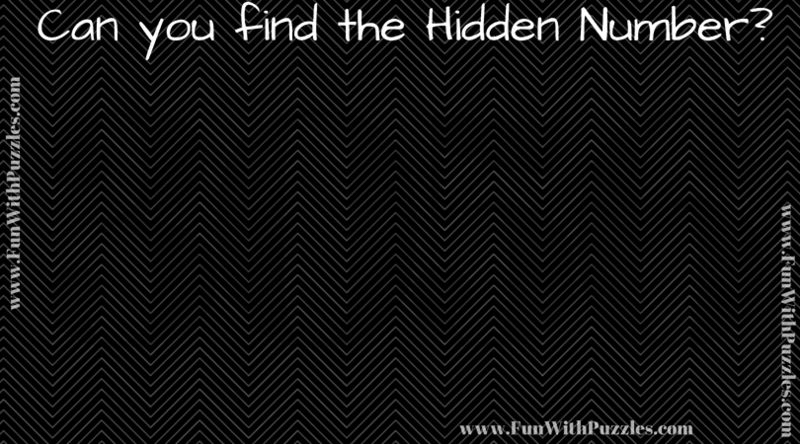 Can you read the secret hidden number in this picture? Answer of this "Can you read secret message hidden in pixels? ", can be viewed by clicking on button. Please do give your best try before looking at the answer.